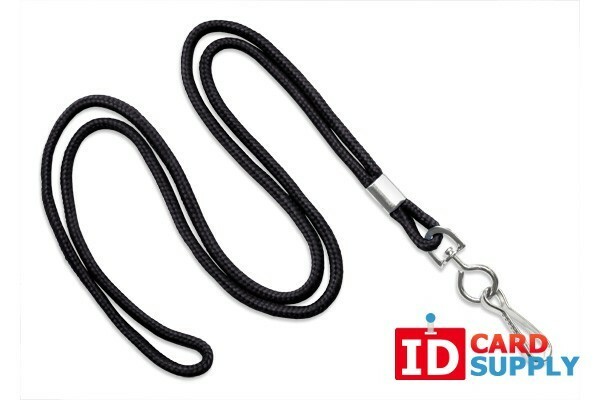 High Quality Black Lanyard with Swivel Hook End Attachment from IDCardSupply! This black lanyard is very long lasting and affordable! The high quality construction and a steel swivel hook ensure that this lanyard from IDCardSupply will last for years. The swivel hook will attach onto any slot punched ID card or badge holder.